True Crime: New York City has a native 16:9 display option, but it requires enabling it in its internal options and setting Dolphin's Aspect Ratio graphics setting to "Force 16:9". Using the widescreen hack with this title is not recommended. This game will crash on the tutorial mission. This occurs when coming into contact with objects or dropping from the ladder near the end of the tutorial. The game can also crash inside other buildings in the game when objects are hit with a melee. See issue 7230. The only way to work-around this is to adjust the Emulated CPU Clockrate currently. 70% - 80% seems perfectly stable in extended testing sessions. 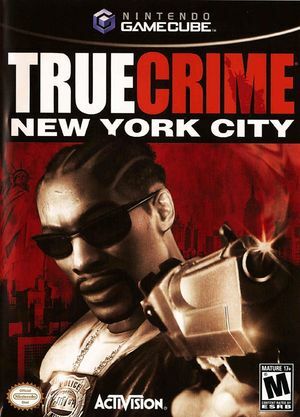 The graph below charts the compatibility with True Crime: New York City since Dolphin's 2.0 release, listing revisions only where a compatibility change occurred.